home → Loans → Car Loans → Do No Credit Check Auto Loans Really Exist? 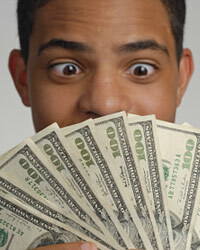 Though people seldom realize, no credit check auto loans really do exist. These loans often come in handy for those who have bad credit records and for those who have yet to build a credit record. However, there are usually quite a few things to consider in order to qualify for these types of loans. When lenders lend money to people with either bad, or no credit record, they taking their chances. Therefore, they are not likely to grant the no credit check auto loans unless they are pretty sure that an applicant can be trusted. Lenders will most likely check the background of the applicants before approving the loan. In order to be more secure, lenders will also charge applicants higher interest rates. The rates often differ from one lender to another. In order to lower the high interest rate on the no credit check loan, a borrower will need to make several payments on time. Typically, a lender wants to see 9 -12 timely payments posted before they will consider reducing the interest rate. Since there are many lenders, it is best to compare rates before you choose a lender. Use the resources that are available online. Also, borrowers with no credit may stand better chances than those with bad credit.